Chisinau, November 28, 2018 - 59 percent of women aged 25-61 from Moldova, who should have a cervical screening test every 3 years to prevent cervical cancer, have never performed such a test. Most of them are from the South of the country, but also from low-income families. 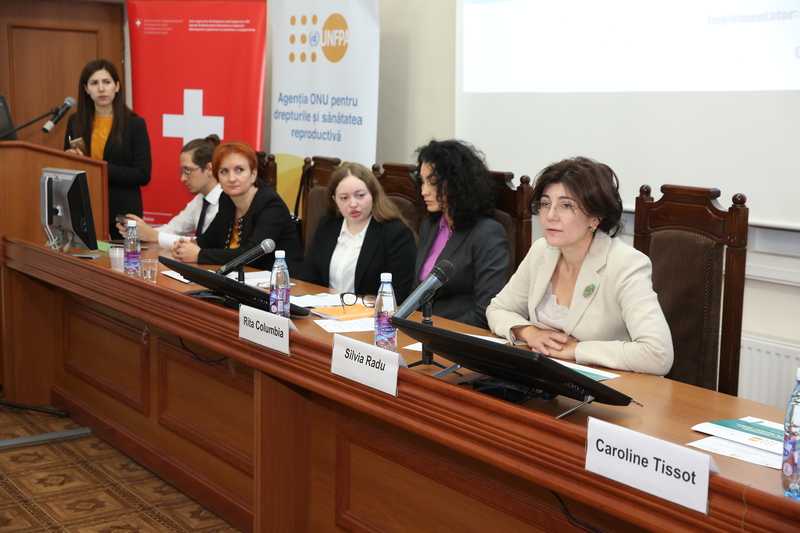 The data is contained in the first National Study on Knowledge, Attitudes and Practices on cervical cancer prevention launched on 28 November in Chisinau. Cervical cancer can easily be prevented by performing cervical screening tests every three years by women aged 25-61. In the Republic of Moldova this kind of screening can be done free of charge at the family doctor. However, the study shows that only one-fourth of women in this age group know about the possibility of having this test, and less than half of those know that the test can be done for free. This is especially the case for women with a low income background. And the number of women who know that the test is done every three years is even lower, with many of them doing it either more often (once a year) or more seldom (once every 4-5 years) than recommended by specialists. With regards to information and initiative to do a cervical screening, the study shows that the family doctor and gynecologist play one of the most important roles. 76% of women who performed the test did so at the suggestion of the medical staff and only 22% - at own initiative. Specialists also represent women’s main source of information about cervical cancer screening with only 18% of women choosing media as their source of information. When asked about the barriers that prevent them from performing the cervical screening test, most women mentioned a lack of time, fear, but also a lack of knowledge where to perform the test. At the same time, most of them would prefer to be invited to a screening by a phone call, or during a visit to the family doctor. "Cervical cancer is one of the few oncological diseases that can be prevented by performing the Pap smear test, which is absolutely free for all women. We will launch a wide-ranging campaign to communicate and inform the population, especially women, together with our development partners, international, central and local organizations, civil society, media and all health workers, to raise awareness of the importance of prevention of this disease by conducting regular check-ups at the doctor," said the Minister of Health, Labor and Social Protection, Silvia Radu. "International evidence demonstrates that almost all cases of cervical cancer can be prevented if there are well-organized cervical screening programs. UNFPA will continue to support the cervical screening program in the Republic of Moldova and call on all partners to join these efforts in order for each girl and woman to be protected from cervical cancer," said Rita Columbia, UNFPA Representative in Moldova. "Health and prevention of non-communicable diseases, such as cervical cancer, is one of SDC's priorities in Moldova. An effective healthcare system means qualitative and accessible services for every person and systematic public information for everyone" said Caroline Tissot, Director of Swiss Cooperation Office in Moldova. The results of the Study will be used to develop a communication strategy for changing the behavior of women in the target group as well as making informed and evidence-based decisions for the prevention of cervical cancer in the Republic of Moldova.